Now, we aren’t making any such claims as being the inventors of the grand old charcuterie board as it dates back some 6000 years ago but we sure know how to make one look pretty. 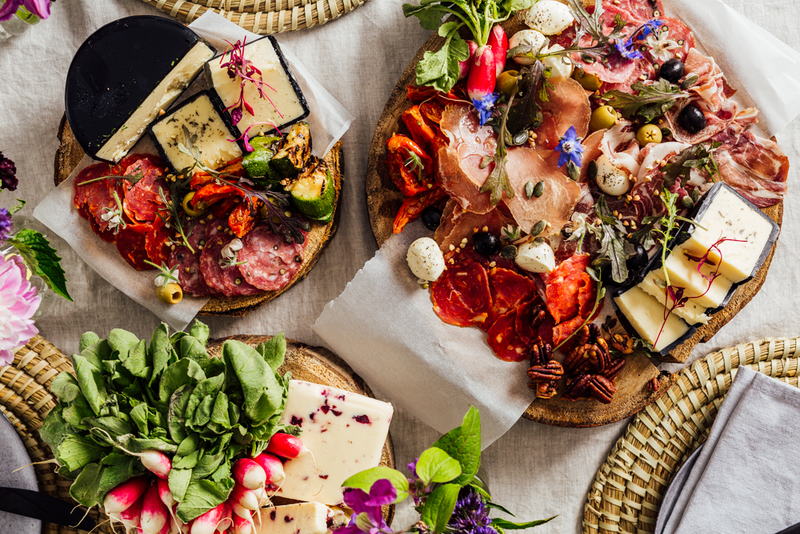 A charcuterie board is the perfect catering solution for a group of friends that is quick and easy but definitely impressive! If you plan ahead, order some delicious produce from Field & Flower – they have some amazing deli goodies to pack your charcuterie board full. 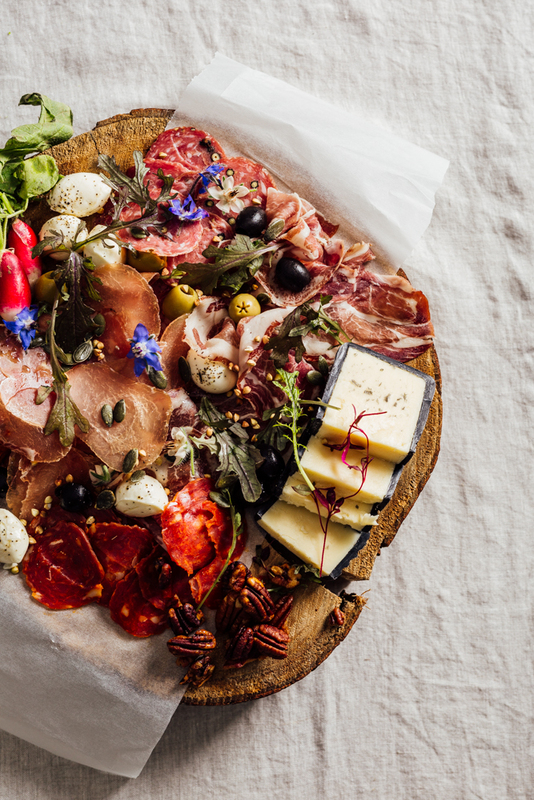 Top tip – more is less when it comes to charcuterie boards, so go wild fill the board right to the edges, mixing colours and textures. Raid your dry store cupboard and feel free to throw on some nuts and seeds as well as any garden veggies.